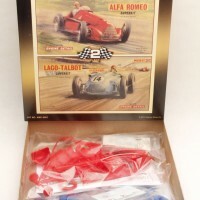 We received the new double kit of the 1950 Alfa Romeo Type 158 and the 1949 Lago-Talbot 4.7L Grand Prix kits, both in 1/24 scale. 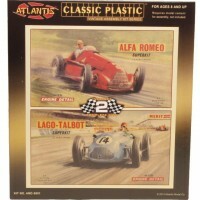 We love the retro looking art work for the boxes. 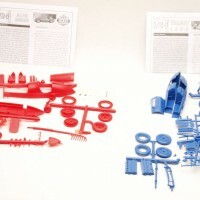 Each of the kit is modeled in either red (Alfa Romeo) and blue (Lago-Talbot). 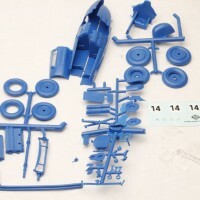 The kits have engines, which will make those who love to detail classic inline six-cylinder engines happy. 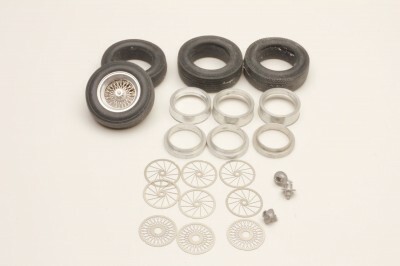 The only thing we don’t like, but it’s an easy fix, is the use of a clear insert that you have to paint silver to replicate wire wheels. 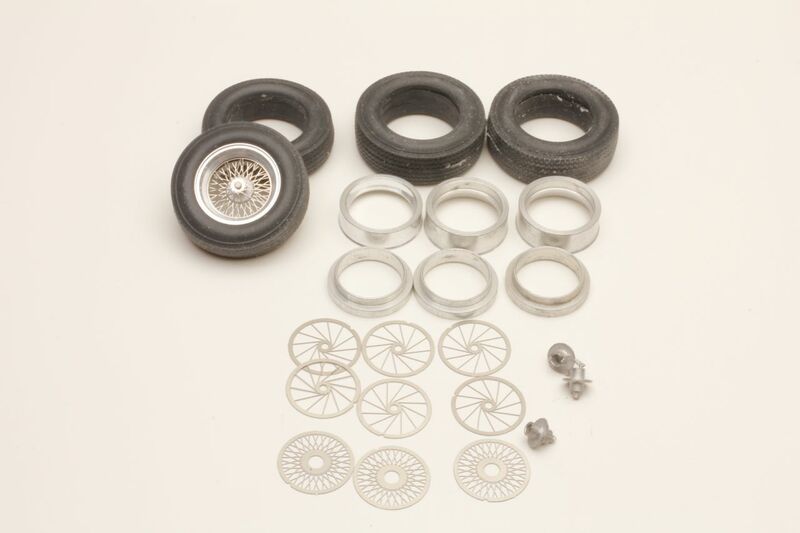 We will run a series of articles on creating your own wire wheels, and sources to purchase aftermarket wire wheel kits as well. I have seen the Lago-Talbot referred to as Lago-Talbot, and Talbot-Lago. So which way is correct? It looks to us that both are: It depends on the car you are referring to. This car, the Lago-Talbot Grand Prix 4 1/2 liter, was from the racing works at the Talbot-Lago factory, and it seems to replicate the 1949 version of the car that was all over the world in F1 races of that time. We have seen factory race team trailers from that period with Talbot-Lago painted on the sides. If anyone has some insight to this, please let us know. Here are a couple of in-progress photos of the Alfa Romeo 159 Alfetta. 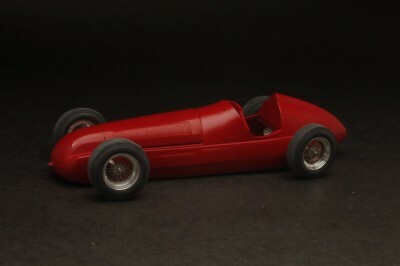 The photoetched and aluminum wire wheels are from a Profil24 kit (The Maserati Birdcage Tipo 63 kit), and look fabulous! Check out the Profil24 web site to order. 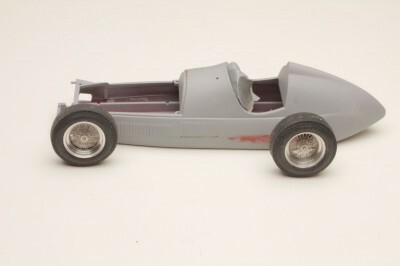 Here is the Alfa Romeo 159 kit in primer. The top and body seams have been filled. The aftermarket aluminum and photoetched wheels from Profil24 are gorgeous! 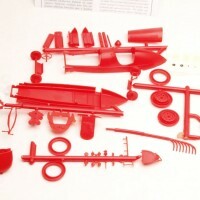 After a couple of quick coats with ScaleFinishes.com Ferrari Russo Red paint, and the Profil24 wire wheels, this kit is starting to look great!